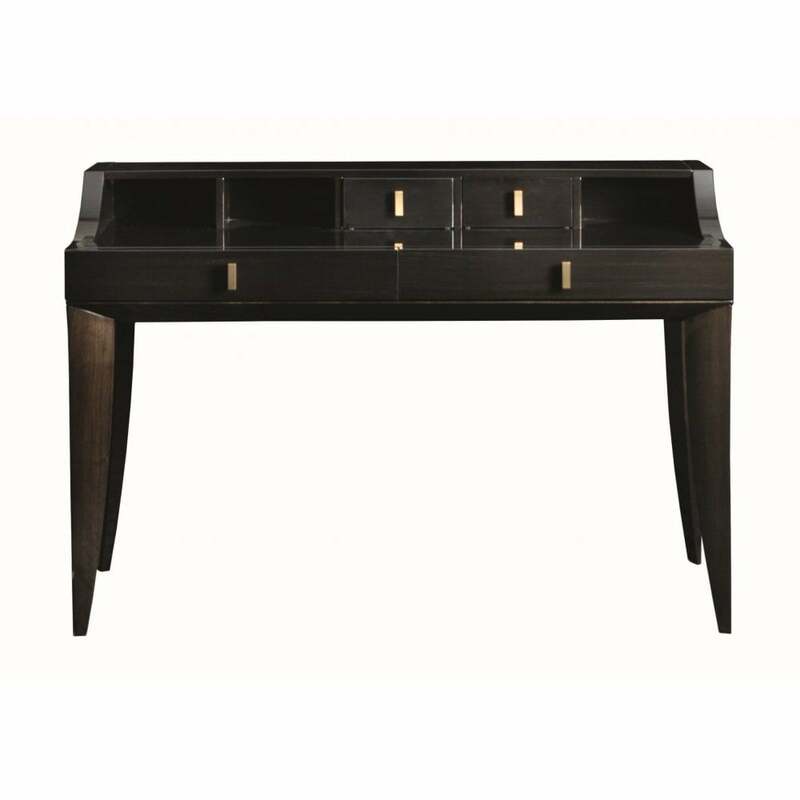 A timeless desk design that takes inspiration from the glamorous shapes of the art deco period. The Dante Desk is part of the luxury furniture collection by Italian brand, Daytona. Featuring an expertly crafted plywood structure with a dark walnut veneer, the large drawers are lined with high-quality fabric and soft metallic runners. The soft close drawers are complemented by burnished brass handles that contrast beautifully against the rich wood. This versatile desk contains various drawers and compartments for storing books and stationary. Style within a light and bright interior for a modern look. The Dante desk is available in a range of lacquered woods. Get in touch with our team to create your bespoke piece.